What are the criteria to take into account when choosing a Seedbox ? 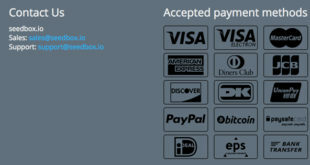 What are the payment methods with Seedbox.io ? 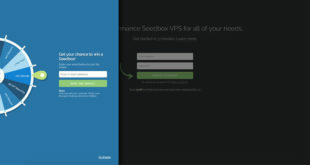 DediSeedBox offers 3 choices for your Seedbox : choose yours ! Promo Code RapidSeedbox : get at least 20% off on first month ! 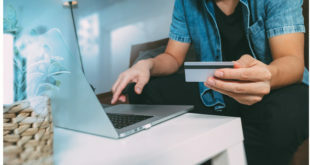 What are the means of payment accepted by SeedBoxBay ? 12 Seedboxes available with Seedbox.io – Choose yours ! Is there any coupon code at DediSeedBox in November 2017 ? Does RapidSeedbox offer Plex on its Seedboxes ? Promo Code Seedbox.io : get 20% off on first month ! Is Seedbox.fr a reliable Seedbox provider in 2017 ? Home / seedbox / What are the criteria to take into account when choosing a Seedbox ? Find the best 2017 Seedbox is really not an easy task when you see the very large choice and competition on the market. It is sometimes very difficult to see the differences between two competitors, that, at first sight, offer the same solutions. Yet, there are some significant differences between the different providers which enable us to do our 2017 best seedbox ranking. 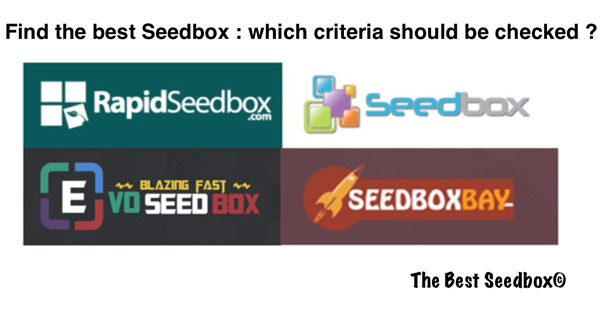 Discover the different criteria you should take into account in order to find the best seedbox. As you can see in our in-depth reviews, we always keep 4 criteria that, according to us, perfectly enable you to have a global discovery of the provider. By analysing precisely all of these 4 criteria, we really manage to see if X or Y is a good seedbox provider. Definitely, you can’t only check the prices, nor the choice, this would be too restrictive… Discover our 4 criteria and why they are important. The first criteria that we always take into account is the quality of the client support. As a matter of fact, even though all the seedbox providers that we present on this website offer a 24/7 availability, there are some significant differences between them. In fact, some are way more reactive than others. Whereas RapidSeedBox, EvoSeedBox or Seedbox.io will answer within a few seconds only, you may have to wait a few hours with Seedbox.fr or DediSeedBox, to name but two. The choice is also a very important criterion you’ll need to take into account when choosing your Seedbox provider. Indeed, there is really everything on the market and the solutions provided can differ a lot. In fact, some providers will stick to very small solutions (EvoSeedBox, SeedBoxBay) while others will have a way larger choice with small and big solutions (Seedbox.io, RapidSeedBox, Seedbox.fr…). In addition to the number of Seedboxes provided, it is very important to check their size. In fact, a provider offering 5 Seedboxes from 100 to 500Go is way less interesting than a provider offering 3 Seedboxes going from 200Go to 3.000Go with a « medium » solution with 1.000Go for instance. As a matter of fact, the first « case » is only suitable for people looking for very small disk spaces. Therefore, people looking for big storages spaces might be very disappointed. In the second case, everyone will manage to find something that suit their needs. The quality is also a very important criterion to take into account in order to find the best Seedbox provider. But, what is quality ? It is pretty simple as it can be assessed by the availability of the Seedbox (most of the time, it is very close to 100%), by the limit (or not) of bandwidth, the connection speed (1Gb/s, 2Gb/s, 10Gb/s,…) or the security, such as OpenVPN for instance. All this is alway meticulously analysed by our team in order only to keep the bests ! As a matter of fact, it is nonsense to have a cheap seedbox provider if the quality of the latter is very bad and you hardly can access your VPS. Yet, no worries, all the Seedbox providers that you’ll find on our website have been checked and passed our 4 criteria with ease. Therefore, you’re sure that you won’t be disappointed with these providers. Obviously, this fourth and last criterion is really really important for us and for you, definitely. Indeed, there are some significant differences as far as tarification is concerned between the different competitors. For instance, RapidSeedbox is by far not the cheapest provider. Yet, it offers some Premium performances and, even though it is quite expensive and sometimes 3 times more than the cheapest, it is still worthy of interest. If you want the cheapest Seedbox providers, you’ll need to go with DediSeedBox, Seedbox.fr or Seedbox.io which are really impressive on tarification. As you can see in our in-depth DediSeedBox review, you’ll be very close to 1 cent$/Go/month. We strongly invite you to discover all our reviews and the details about tarification to know exactly how much you’ll pay for which solution.